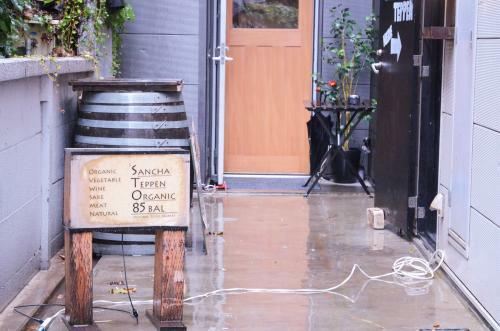 There’s a hidden gem tucked away in the back alley of Sangenjaya! 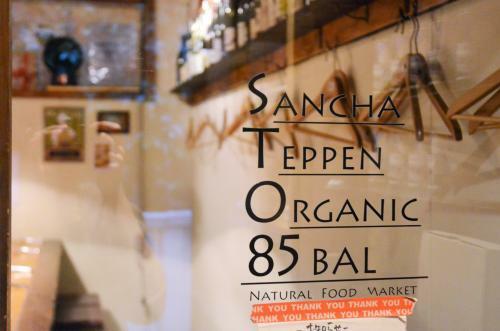 85BAL Teppen is a healthy bar where organic vegetables and gluten-free cuisine can be enjoyed. While the menu includes a variety of carefully selected meat and fish dishes, it also offers a wide range of vegetarian and vegan choices. It is a popular house, especially in the evening when it becomes packed with patrons who stop by for some drinks! 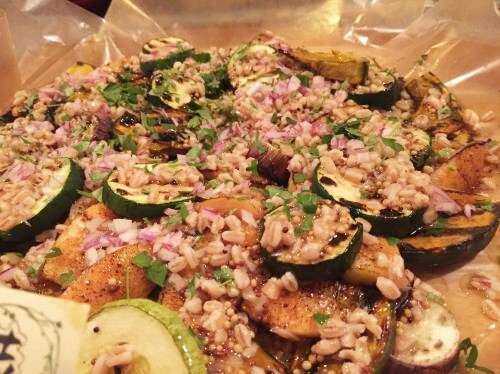 We spoke with the owner Masahiko Funaki about his delicious menu offerings and how he came to provide organic and gluten-free cuisines. Click here for location and detailed information on 85BAL TEPPEN. 1 From one side street to another… Alas, a hidden bar! 2 Gluten-free options are available, and most of the dishes, with the exception of meat and fish dishes, are vegan. Enjoy these offerings with drinks in the evening. 3 Providing proper knowledge and accurate information to the customers. The owner’s thirst for knowledge on food and health. From one side street to another… Alas, a hidden bar! From Sangenjaya Station, if you make a turn on a side street and then proceed through another side street, you’ll eventually find yourself in a deeper part of the town. You may feel uncertain about being in an unfamiliar area, but don’t worry and keep going. You’ll eventually come to a stylish restaurant. Yes, it’s very well concealed! 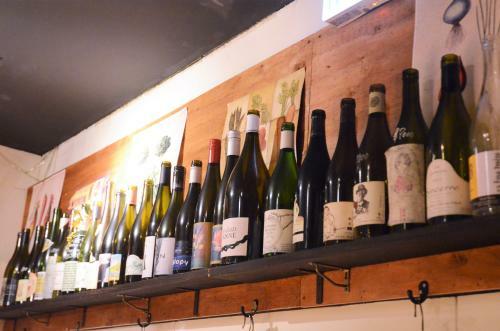 85BAL TEPPEN has been operating in Sangenjaya since 9 years ago. 3 years ago, the bar started afresh in a new direction, making all of its menu gluten-free. The owner also added a variety of vegetarian and vegan offerings. At 85BAL TEPPEN, people, especially vegetarians and vegans can enjoy the vegetarian dishes while meat and fish dishes are also on the menu. All of the ingredients are carefully selected by the owner. 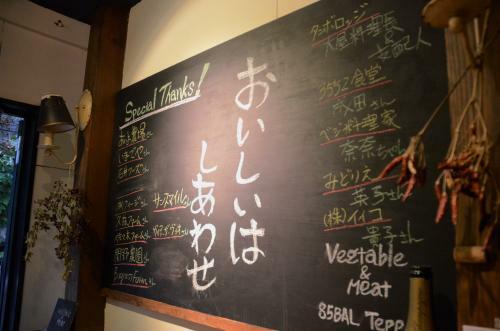 There is a fair amount of customers who regularly don’t eat meat, but are able to enjoy the meat dishes at this bar. Gluten-free options are available, and most of the dishes, with the exception of meat and fish dishes, are vegan. Enjoy these offerings with drinks in the evening. Healthy lunches are offered to give a boost to your energy to prepare you to face the rest of the day, and organic drinks are paired with delectable dishes to be enjoyed in the evenings. Gluten-free options are also available. 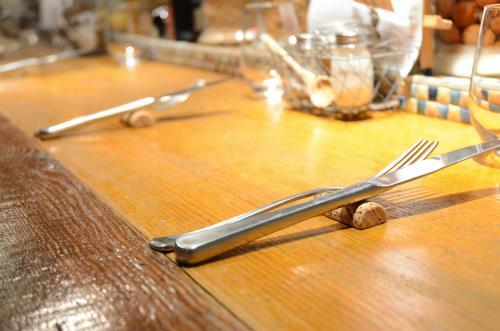 The bar caters to many customers who have a sensitivity to wheat, and upon request, they are able to provide gluten-free options without the use of soy sauce. “I started the gluten-free menu 3 years ago. We have absolutely no presence of flour inside this restaurant right now,” says Funaki. Organic vegetables are used as much as possible – all of them carefully selected and freshly picked. What’s more, all of the seasonings and condiments are handmade, exhibiting the owner’s attention to detail. 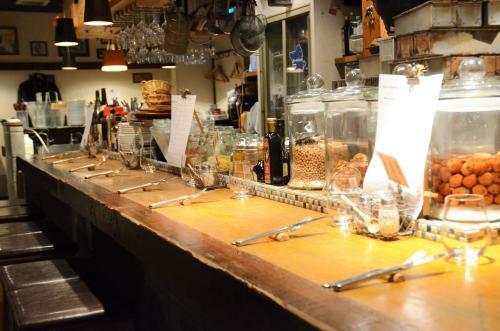 The number “85” reads “hakko” in Japanese, which translates to “fermentation.” The miso, shio-koji (salted rice malt), ama-koji (sweet rice malt) served at the bar are all handmade. 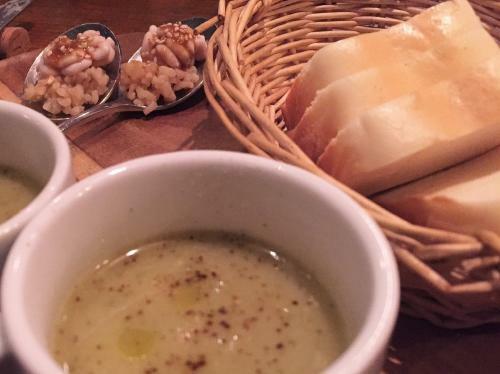 For starters, it was soup (vegan option available), shirako (milt) and brown rice served on a spoon (shirako will be replaced with something like a carrot salad for the vegan version), and rice flour bread! Being able to enjoy handmade rice flour bread is not something normally offered at restaurants as an appetizer. 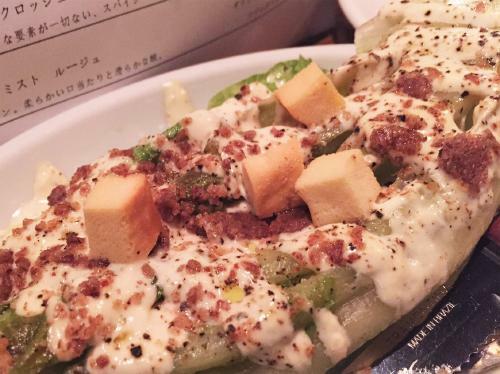 Normally, the salad is topped with cheese, but this time, we requested the house-made vege cheese instead. Other dishes that contain cheese can be switched with the vege cheese depending on the menu, so please inquire about it when necessary. The baked romaine lettuce has a slightly smoky flavor and a satisfying crunchy texture! Cut the salad into smaller pieces with a knife and fork and enjoy. If you are a cilantro enthusiast, the Cilantro Chawanmushi (savory egg custard) (500 yen plus tax) is highly recommended. 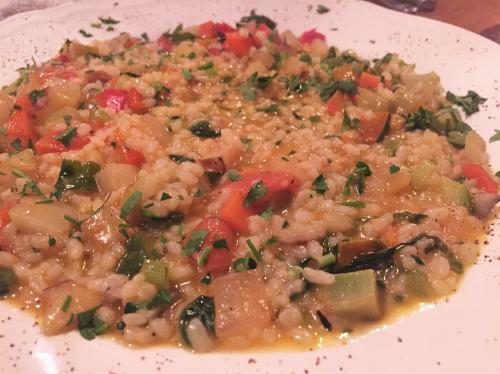 It is a specialty at 85BAL TEPPEN and is a vegetarian dish (contains eggs). This is also a vegan dish using brown rice. Only vegetable stock is used, but it has a deep flavor that can only be achieved by using fresh and flavorful vegetables. There are two types of desserts and both are of course gluten-free and vegan! 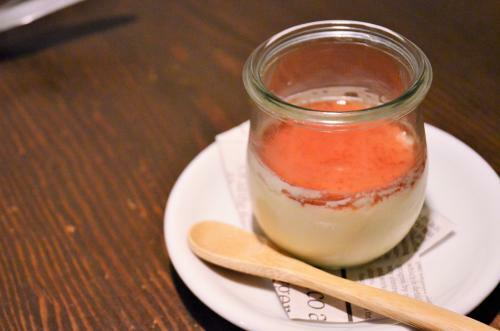 Pictured is the Smooth Ama-koji Pudding (500 yen plus tax). 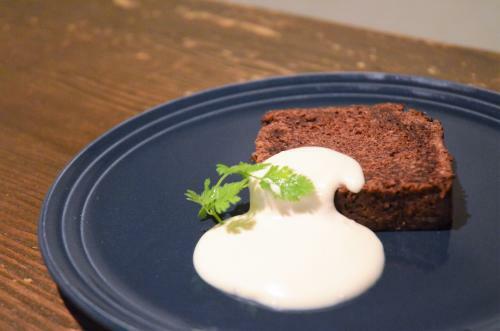 According to Funaki, the big challenge was how to achieve the smooth texture without utilizing dairy or eggs. The melt-in-your-mouth creaminess is the result of his great efforts! The delicate sweetness of the koji is just perfect. It has the richness of a chocolate cake with an added crunch of the coconuts – you’ll be finished with it in no time. The menu at 85BAL TEPPEN is pretty self-explanatory! 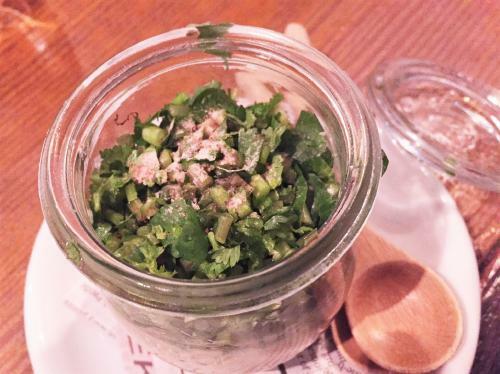 They use a soymilk mayonnaise in their dishes. Providing proper knowledge and accurate information to the customers. The owner’s thirst for knowledge on food and health. 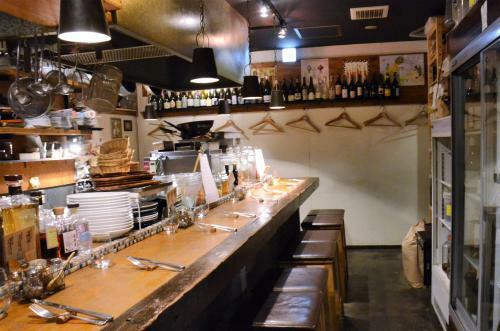 Funaki initially operated 2 restaurants in Sangenjaya. ”I opened this bar 9 years ago, and another restaurant 6 years ago. I handed over the ownership of the other restaurant to someone else, and now I just have this bar. Funaki began his research on food, frequenting seminars and study groups to gain more knowledge in order to ensure that the food he provides his customers are safe. ”I thought that I had to first acquire the proper knowledge and accurate information before going any further. I also felt that these types of demands toward a healthy diet will increase even more going forward. Funaki’s continuous research finally led him to macrobiotic and gluten-free. “As I was learning about gluten-free, I began to realize that my poor health condition matched the symptoms of gluten sensitivity and intolerance. He first tried it for 2 weeks, to see how his body would react. Until then, Funaki would sometimes eat 5 to 6 meals a day, but during these 2 weeks, he maintained 1 to 1.5 meals per day. As a result, he felt incredibly healthier. “Knowing comes first. Knowing what’s best and then choosing what would be better for yourself. I think that is what being responsible for your life equates to. If you have the understanding, then you are responsible for your choices. If we want our children to live better lives, the adults now have to acquire more knowledge. What can we expect from 85BAL TEPPEN in the future? The interview has given us something exciting to look forward to in terms of the restaurant’s future endeavors and its new lineup of menu offerings.